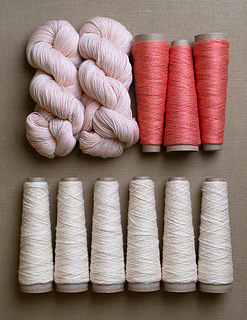 For the Ribbing: A US #6, 24-inch or longer circular needle. 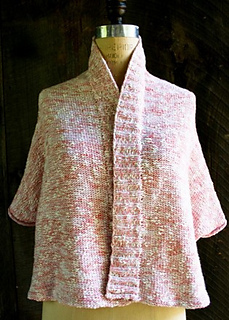 One size fits chest measurements from 30 to 44 inches in circumference. 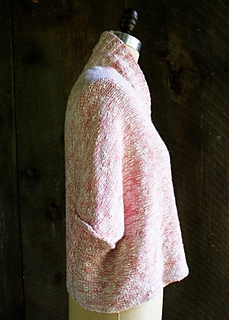 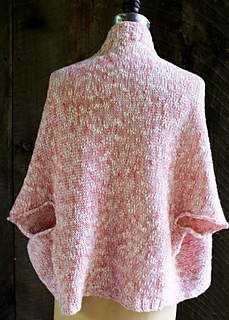 You will knit this entire pattern holding together one strand of all three yarns. 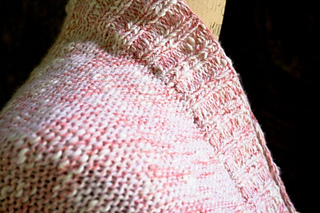 Because this wrap is in reverse stockinette, the purl side of the fabric is the “right side”. 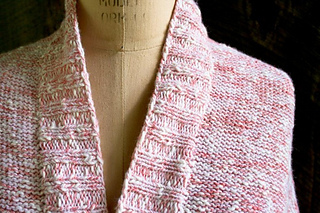 Throughout the pattern I will refer to the sides of the fabric as the “knit side” and the “purl side” to avoid confusion.